The Academy will fully comply with the requirements of the new National Curriculum, and offer the greatest scope of academic subjects possible. The school will provide teaching which is best practice. Classes will have a very high staffing ratio to provide individual support where necessary. Staff have a range of specialisms to provide high quality teaching. Classroom staff will be able to accurately assess the level children are working at and differentiate the curriculum appropriately. Specific interventions in Maths and English will take place where needed. Assessment will praise effort and achievement whilst giving direction and opportunity to ‘close the gap’ on any lack of knowledge. Your child’s progress, both academically and socially will be reviewed regularly with yourself and will inform future learning. 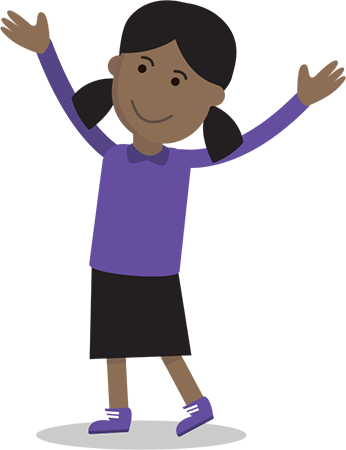 A range of resources will support learning for children operating at different levels. These include subject specific rooms such as Science, Design Technology, Art, Music and Drama, Food Technology, and a Gym. The Academy will provide support for children in managing their own behaviour and to build up skills and confidence in dealing with social situations. This support will be best current practice in Autism provision, and include Social Stories and other proven techniques. A consequence based behaviour system will encourage students in a non-judgmental way to understand their behaviours and assist them in choosing the right course of action. Behaviour programs will be developed for each child with specific negotiated targets and rewards. All behaviour strategies will be in partnership with the child’s family to ensure progress at home as well as school. To meet the sensory and social needs of autistic learners, students will have access to calming rooms and sensory facilities with specialist programs under the direction of an Occupational Health Practitioner and Educational Psychologist as required. All staff will receive training so they have the knowledge and confidence to support children’s needs. This will be wide ranging, and include autism specific training. The Academy will provide comprehensive communication and you will have every opportunity to share your views. The Academy will be in contact at least weekly via home - school diaries and telephone conversations. You will be invited into school regularly to discuss your child’s progress. Where appropriate, the Academy will make sure children’s families are able to take part fully in school trips, performances and events. Referral to or seeking advice from other organisations.